What is your mindset before you compete or before an intense workout? What happens in your mind during that oh-so-important period sets the stage for whether you perform to the best of your ability. Psychology Today talks about three different mindsets athletes tend to have: aggressive, calm or clear. The key here for me is that not everyone is the same. To tell an athlete who performs better amped up to calm down would backfire, therefore, understanding what works for you and then perfecting your self-talk and visualisation for that mindset will make you stronger. Calm: A calm mindset is typically best for athletes who get nervous before they compete. Your primary goal is to settle down and relax, thus allowing your mind to let go of doubt and worry and your body to be free of nerves and tension. A calm mindset can be created in several ways. First, it’s difficult to have a calm mind if your body is anxious, so focusing on relaxing your body is a good start. Deep breathing and muscle relaxation are two good tools you can use to calm your body. Second, you can use mental imagery in which you see and feel yourself being calm before a competition. This imagery has a direct physiologically relaxing effect on both your body and mind. Third, calming and reassuring self-talk can ease your tension, for example, “easy does it”, “just breathe”, “it’s ok, we can do this”. Relaxing self-talk can take the edge off of your nerves giving you the comfort and confidence to perform at your best. Clear: A clear mind involves having basically nothing related to performing going on in your mind before a competition. 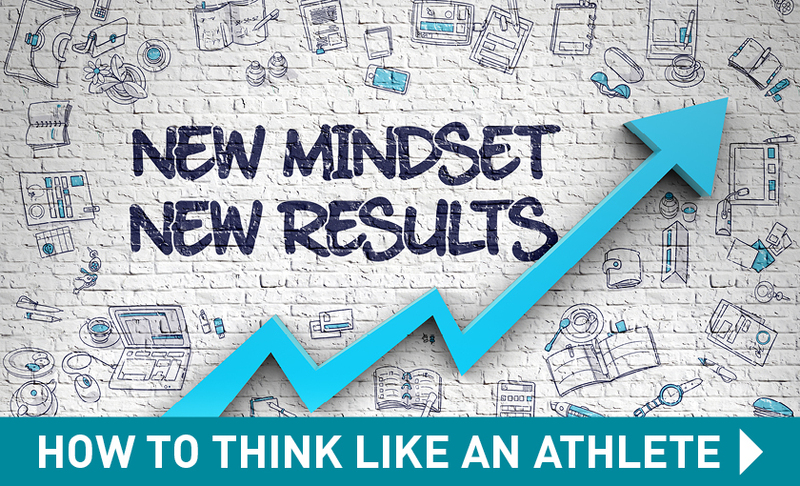 The athletes who use a clear mindset are those you see before a competition talking to coaches, teammates, or even their competition. These athletes tend to be the more experienced athletes who have almost perfected their talent and therefore want to simply allow their bodies to react to the sporting challenge. Over thinking is when these athletes get in trouble so their goal is to free their mind. This mindset is very much like a mediation state, where you keep your mind clear. Talking to others around you, thinking about someone or something that makes you feel good, and listening to music are several ways you can keep your mind clear, thus preventing it from getting in the way of your body performing its best. Like most things in life it is trial and error and then practice in order to perfect. Try a few techniques out as one will most likely feel more natural, then stick with that approach for a while and repeat, repeat, repeat. Repetition is the king of all reprogramming and learning. ← How to beat a hangover!